The Adaptive Management specialization is designed to provide a rigorous, focused graduate program that draws on faculty expertise in both adaptive management and structured decision making. Adaptive governance and adaptive management are innovative integrative approaches that treat policy and management as experiments designed to determine and decrease uncertainties and identify thresholds for the successful management of complex systems. For adaptive governance and adaptive management to be successful there is a critical need for explicit training of future social and natural resource scientists, managers, and policymakers in the process of adaptive management and in resilience theory, which gave rise to adaptive management. Students enrolling in this emphasis area will be interested in the interface of research, management and policy. Provide students a learning environment to promote a broad understanding of adaptive management principles and how they can be applied to the conservation and management of our natural resources. Recognize students who have attained an advanced knowledge of adaptive management principals and application. Support interactions and cooperation among the community of scientists and students working on applied adaptive management. 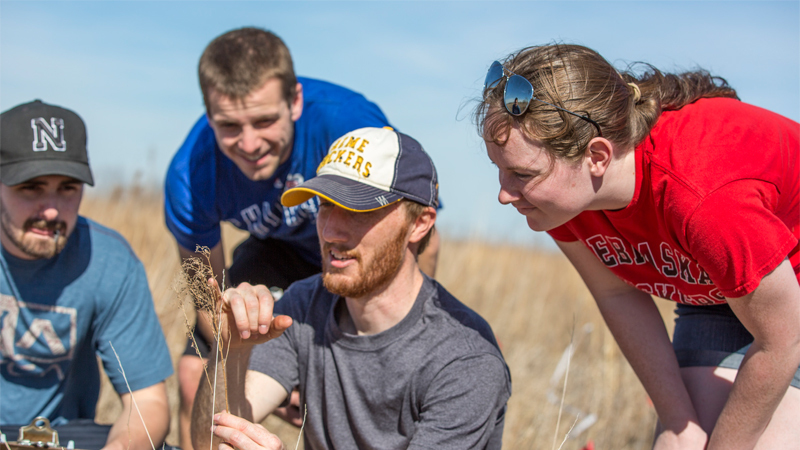 In addition to School of Natural Resources faculty, there are more than 20 faculty associated with the resilience and adaptive management NSF Research Trainee Program at UNL. Graduate degrees are research degrees. The primary requirement for a specialization in adaptive management is a research topic (i.e., thesis or dissertation) that focuses on, or includes, adaptive management. Students with this specialization will work closely with their advisor(s) and committee members to choose a range of courses that provide a background in ecology, quantitative ecology and statistics and social sciences, all core to adaptive management. Specialized graduate courses are often taught irregularly or one-time; therefore it is imperative that students and graduate committees tailor individual degrees based on courses that are available and specific needs of a specific research question and degree program. Our M.S. and Ph.D. students have pursued a wide range of career paths over the past several years, including positions with state and federal agencies, natural resources districts, environmental consulting firms, and nongovernmental (nonprofit) organizations. 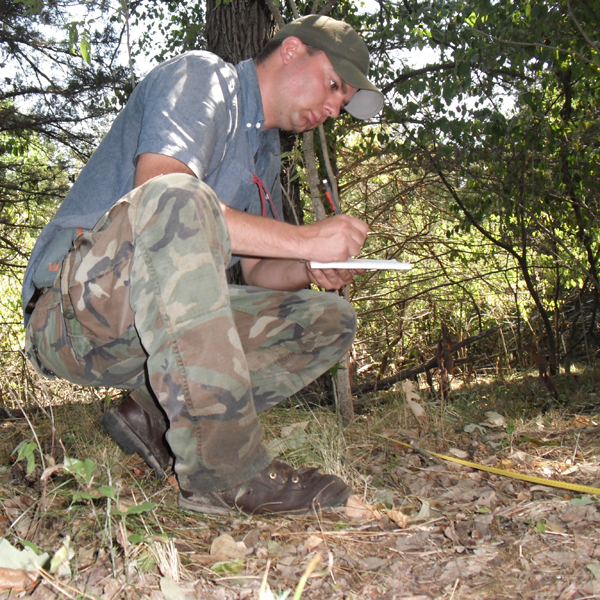 PhD student Kent Fricke documents understory vegetation before invasive trees and shrubs are removed. Images courtesy of Kent Fricke. 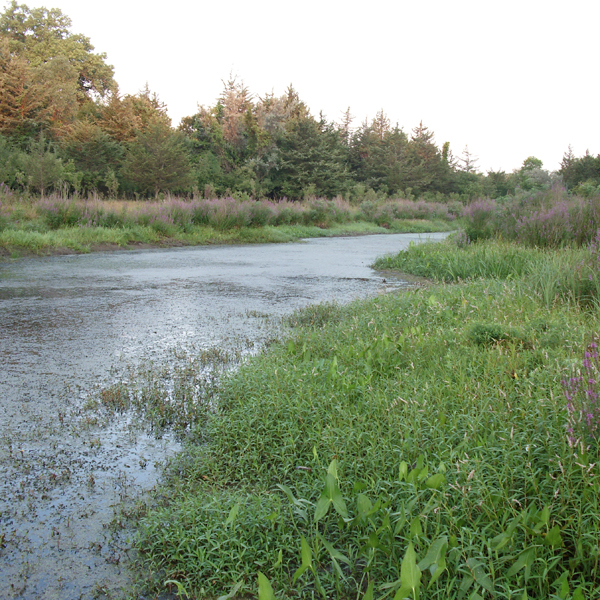 Wetland in the Niobrara River Valley in northern Nebraska surrounded by invasive purple loosestrife and encroaching eastern redcedar trees. Images courtesy of Kent Fricke. 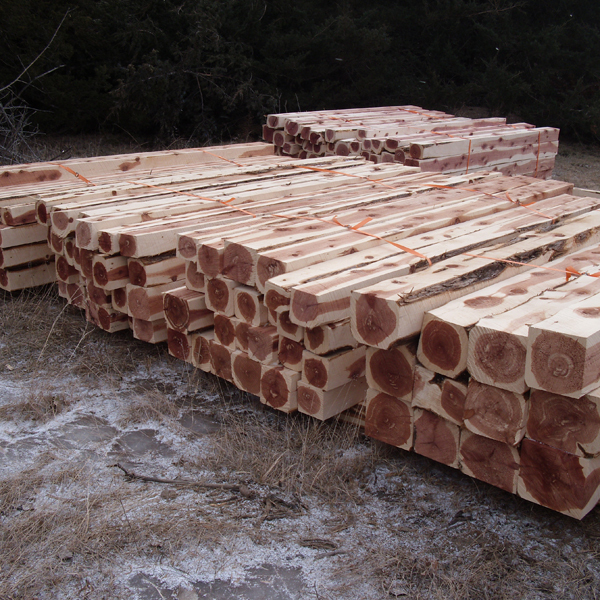 Eastern redcedar logs removed from oak woodlands to be utilized by commercial timber mills. Images courtesy of Kent Fricke. 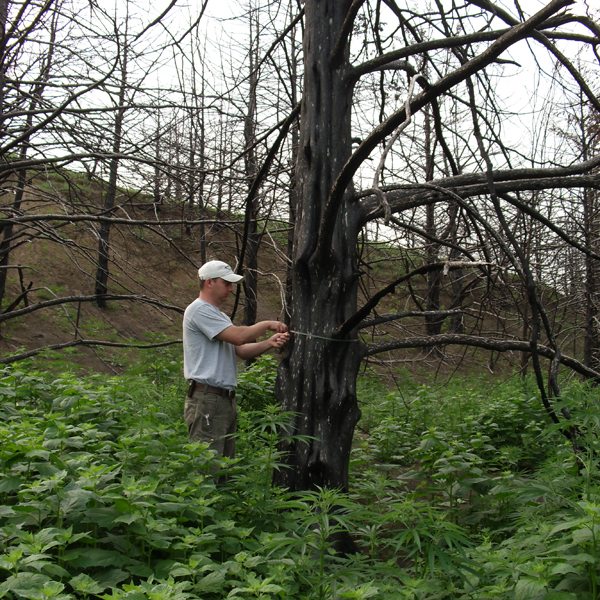 PhD student Kent Fricke measuring the diameter of a burned eastern redcedar following a 2012 wildfire in Boyd County, Nebraska. Images courtesy of Kent Fricke. 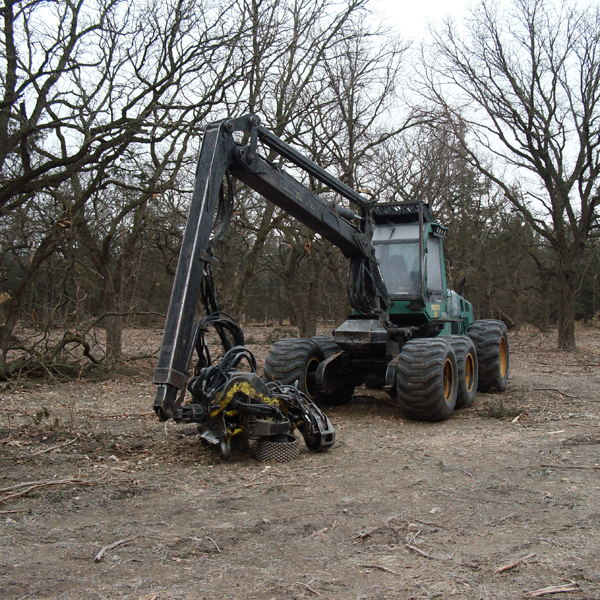 Timberjack Harvester used by private loggers to remove encroaching eastern redcedar trees and restore oak woodlands. Images courtesy of Kent Fricke. 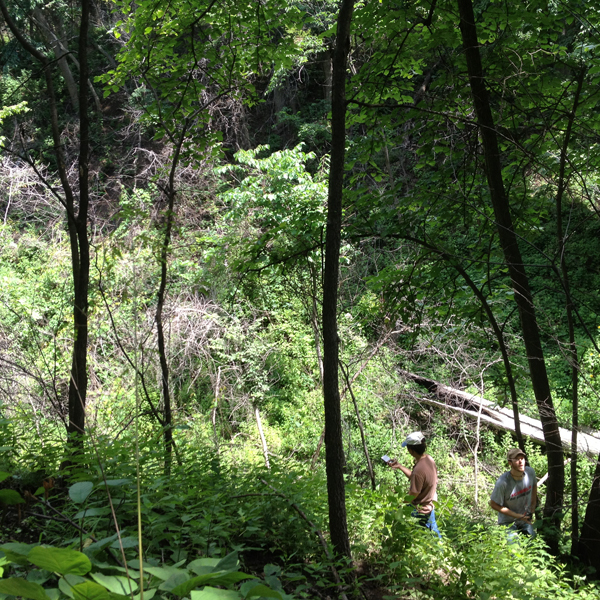 Graduate students Noelle Hart and Daniel Uden survey forest conditions at Indian Cave State Park. Images courtesy of Noelle Hart. 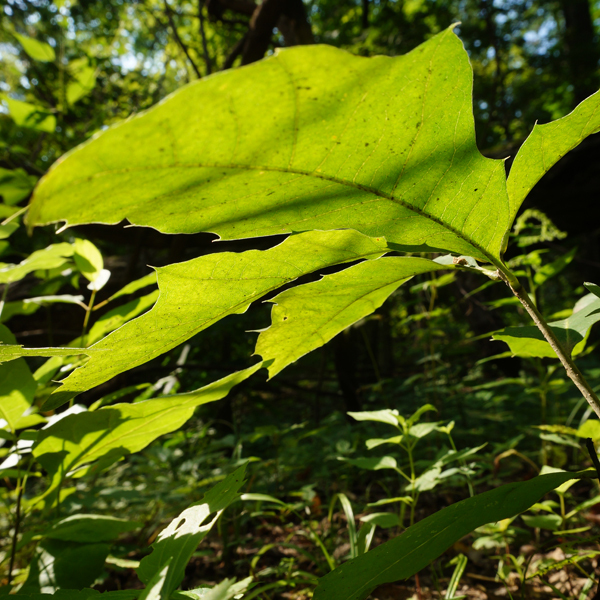 Oak seedling observed during pilot study of oak regeneration. Images courtesy of Noelle Hart.